Some information that you may find useful in choosing where to store your car. If you have any further questions we have not covered here please don't hesitate to contact Don Phillips. How will I get my car there? 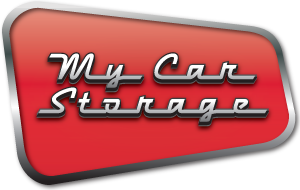 My Car Storage provides a pickup and delivery service for our customers. If you would like to arrange a pickup service please contact Don Phillips to make further arrangements. • Advise your insurance company that you intend to store your car and where. • Have the car fully serviced and fill the fuel tank just prior to storage. Fuel stabiliser should be added. • Wax and polish all body work and chrome. • Raise the car removing some of the weight from the tyres and suspension. If the tyres are not touching the ground the transmission and driveline may then be operated. • Extreme care should be taken if jump starting a low or flat battery. The operator could be seriously injured or damage may be caused to the car's electrical system. • Clean battery terminals and reconnect. • Check oil, water and fuel. • Carry out any special instructions outlined in the owner's manual. • Test the brake pedal pressure. • Start engine and check operation of all the systems. Important: seek expert advice if your car's systems appear abnormal. The above procedures will reduce but cannot eliminate all of the risks involved when storing your vehicle. • Advise your insurance company that you intend to store the car and confirm that it will be fully covered by the existing insurance policy. There maybe even discounts due to location and lack of usage. • Most insurance companies will allow payment in advance, however check with your insurance company to find out how far ahead the motor vehicle policy may be paid. 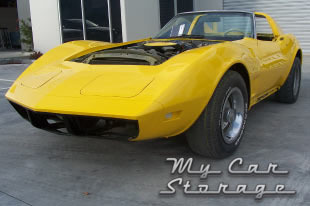 How can I prepare my car for storage? Steps to prepare your car for storage. • Inflate the car's tyres to correct operating pressure. Tyres will be checked on a regular basis at My Car Storage. • Release the parking brake. Select Park is vehicle is an automatic or if manual leave in gear and place a note so as key cannot be operated without neutral being selected, or leave in neutral and chock the wheels. • Fit a battery minder to cycle the batteries charge rate. These are supplied by My Car Storage. • Caution - disconnecting the battery in modern vehicles can result in memory loss of security, engine and transmission management systems. The stereo system may also incur memory loss and will require re-coding prior to resetting of radio stations. Check your owner's manual for any special instructions before disconnecting the battery and follow them carefully. • If the vehicle is left for a period of time it can be beneficial to run the motor to operating temperature plus another 10 minutes. While the engine is being run, switch on the air conditioner for five minutes. This will guard against the air conditioner compressor seals drying out and ensure that oil in the system does not drain away from moving parts. When can I access my car? You can access your car using your personalised keycard giving you access at a time that is convenient for you . Important: seek expert advice if your car's systems appear abnormal. The above information will reduce but cannot eliminate all of the risks involved when storing your vehicle. Have your pride and joy stored in a secure & convenient location.